When getting ready to send your student off to UNF, the decision of should they bring their car to school, and then what to do with it when they do, must be decided. 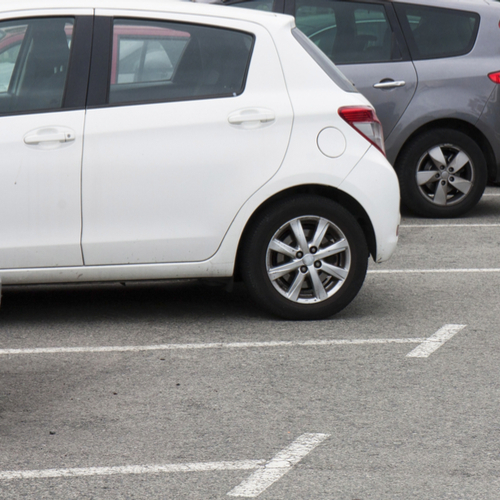 Having a car on campus makes things easier for your student – getting to Publix, CVS, the mall; however, parking can be a little bit of a hassle. UNF has some parking information and rules that can make the whole car situation a bit more manageable. One of the first things to remember is immediately upon registering for classes, buy your permit as soon as permits go on sale! Permit sale dates can be viewed through Osprey Update for Students and on the UNF parking information page. Permits are sold on a “first come, first served” basis, because some of the more desirable permits, such as Blue Lot permits, have set sales limits and will sell out. The Gray Lot permit category never sells out. Permits can be purchased per term or per year. Please be aware that more permits are sold than the number of parking spaces since students do not come to campus every day from 7 am to 10 pm Fortunately, varying class schedules allow more spaces to be available, but some of the spaces may not be your student’s favorite lot or garage or close to their class. So where exactly are these lots and garages? Click here for a pdf version of a campus map including the lots and garages. Some of the lots and garages are a bit away from classes but UNF offers the Osprey Connector Shuttle that transports students to and from their parked car to the center of campus. New as of 2019 is that parking permits have shifted to virtual permits, where you register your vehicle’s license plate to be a virtual permit. This new system requires cars to have a registered license plate plus cars are now forced to park “nose-in”. The hours of enforcement activity are Monday through Thursday from 7 am to 7 pm and Friday from 7 am to 5 pm. No permit is required from 5 pm Friday through 7 am Monday unless there is a special event on campus. To verify special events, check the Master Calendar. How can your student avoid getting a citation? First of all, make sure they park in the appropriate lot or garage, don’t park on grass or in a space that is specially marked and also follow the “nose in” rule. What happens if they do get a citation? They can pay the ticket through an online link Pay Citations or it can be paid in person at Building 52. Some students don’t come to campus enough to warrant buying a permit for a school term or year. For those students, they can purchase a $5 or $2 daily virtual permit from the pay-by-plate kiosks that are around campus near the lots. The same permits can be used for visitors that are on campus during the week. Lots of information and a lot to think about when deciding if your student should bring their car to school. The university tries to make the system very easy, however with 15,000 students, easy isn’t always possible.